Buying a house isn’t just going to a realtor to discuss the home you want to buy. There are many factors to consider, like location, pricing, and especially mortgages and loans. How can you be sure that you’re able to pay for the house when it comes down to it? We of Fairfax Mortgage Investments can help with that. Our goal is to make the home buying process as quick and painless as possible, so you don’t have to worry. We have helped Sterling, VA first time home buyers for over 30 years, giving us a lot of experience on the subject. Call us today to get a consultation! We’ll make sure that you are comfortable during the entire process until you get your new home. 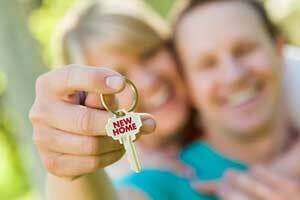 FHA loans can give Sterling, VA first time home buyers a chance to purchase a residence. By having smaller down payments and closing costs, along with competitive interest rates, they allow first time home buyers to get the home of their dreams. These loans are insured by the Federal Housing Administration. Created by the US Department of Agriculture, these loans allow one to buy a house in a rural area cheaply. USDA loans tend to have lower interest rates than other loans. They also do not have any down payments, making this loan ideal. VA home loans are part of a federal program created by the US Department of Veterans Affairs. They offer no down payments and low interest rates, something that other loans do not have. VA home loans are for veterans, soldiers, and their widows only. FHA Section 203(k) allows Sterling, VA first time home buyers to buy a house in need of repairs using less money than a regular loan. They do this by combining the mortgage and the cost of the repairs into one. FHA Section 203(k) loans are tied with regular FHA loans. Grants, programs, and incentives can make up parts of a loan, along with other things. When there’s so many to pick and choose from, where do you start? Fairfax Mortgage Investments can help you find the right loan package for you, making sure that you get the best deal out of it. From program applications to credit rescoring, we work with you on creating the right loan while filling out your paperwork. To begin with, create a budget based on housing costs, closing costs, and the home you want. After that, find a realtor in your target area and gather your documents for the meeting, including pay stubs, bank account statements, W-2s, tax returns, statements from current loans and credit lines, and the names and addresses of previous landlords. We can then do the rest while you relax.